There are several series from fellow Microsoft Evangelists on using MonoGame for your Windows 8 Store apps. I don’t want to duplicate what they have already done, so instead I’ll refer you to them below. 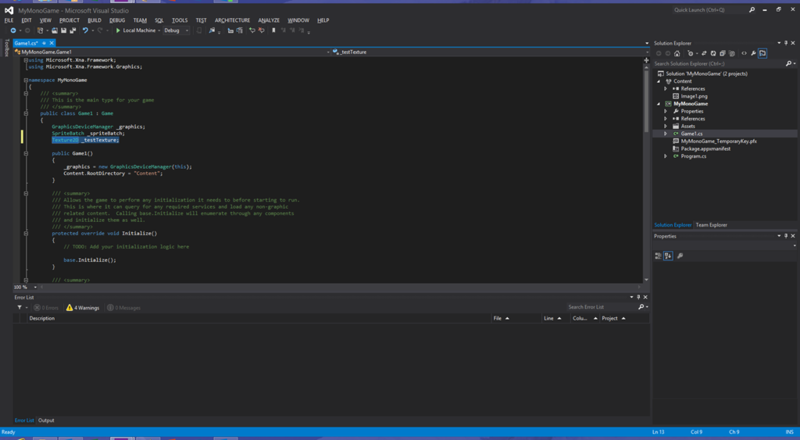 These articles should give you a good start on using MonoGame to build your next game for Windows 8. Go ahead and read through these articles before continuing, I’ll be waiting for you after the fold. 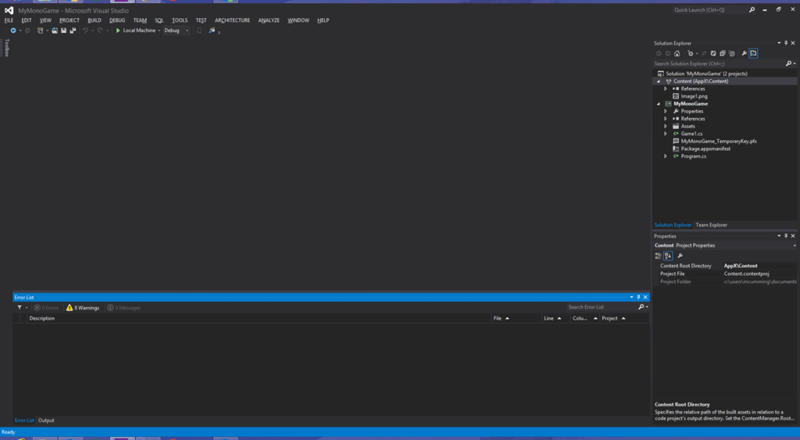 Great, now you have enough background to dive a little deeper into MonoGame using Visual Studio 2012. 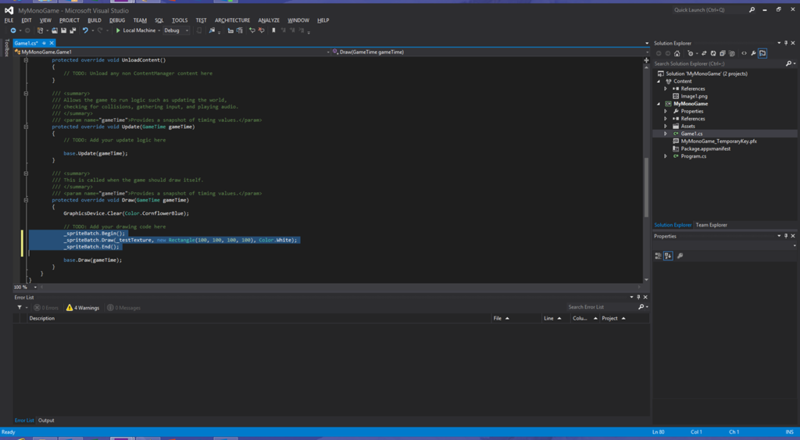 What I want to show you in this post is how to make using MonoGame a little easier and more like what you may be used to if you are an XNA Game Studio 4.0 user. Both Bob and Tara mention the fact that MonoGame currently does not have a build-time implementation of the Content Pipeline. In other words, you have to use the XNA GS 4.0 Content Pipeline projects in order to build your content. Building you content will take you images and other assets and transforms them into files with the .xnb extension. 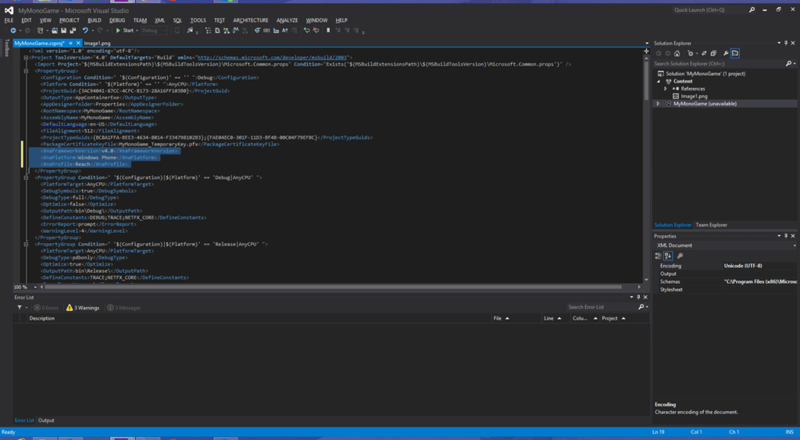 Nearly every article or post you will find on the internetz will have you either use VS 2010 or VS 2012 with the Windows Phone SDK to build your content, then manually copy the content into your Windows 8 Store project so it can be found by the MonoGame content pipeline at runtime. To say the least this is a tedious, error prone and disruptive part of the development process. 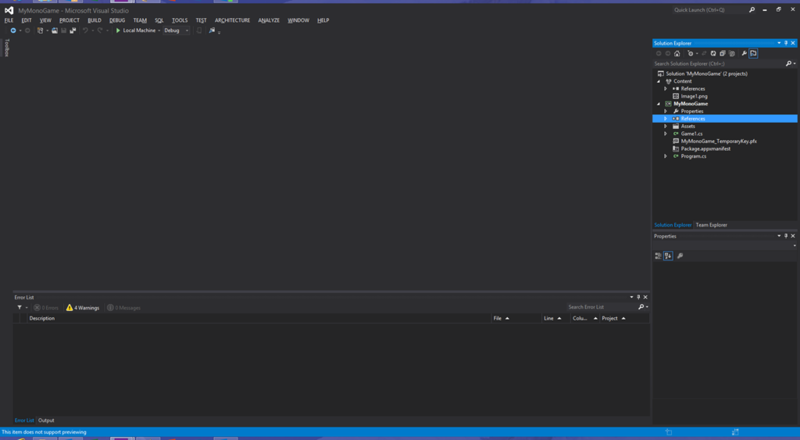 There is a better way, and you will not need VS 2010 anymore, unless you are converting an existing XNA GS 4.0 project, which is a topic I’ll cover in a later post. 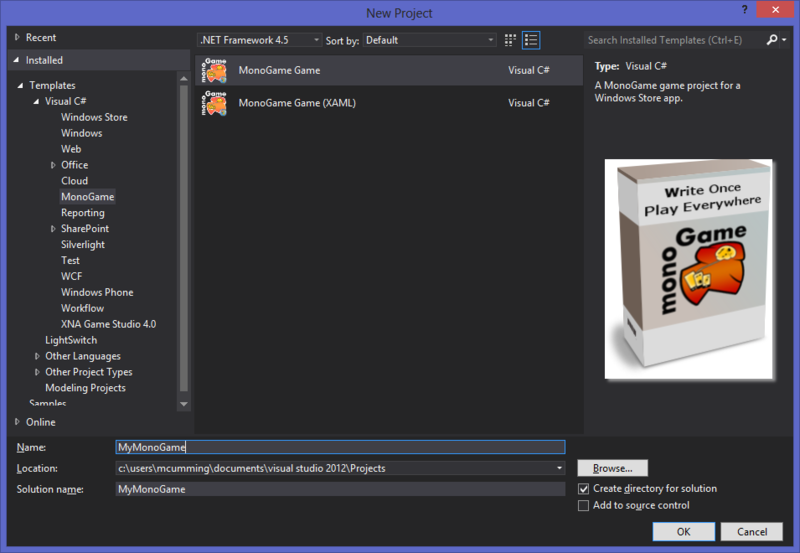 With a few minor changes to your MonoGame project file, you can get your content to build and be placed in the correct folder for proper deployment. 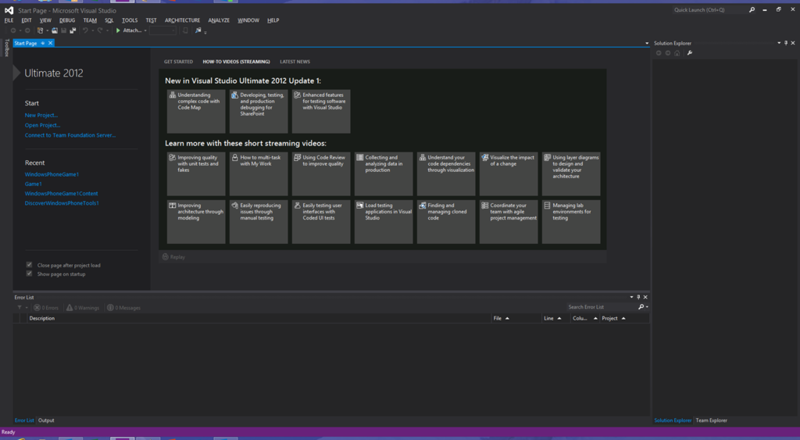 The unfortunate part of this at the moment, is that this recipe will not work for the Express Editions of Visual Studio. I’m working on a post that will explain this and provide the best workaround that I can, stay tuned. Modify the Content Root Directory When the content builds, it will build into the output folder of the referencing project ( which will be the MonoGame project ). 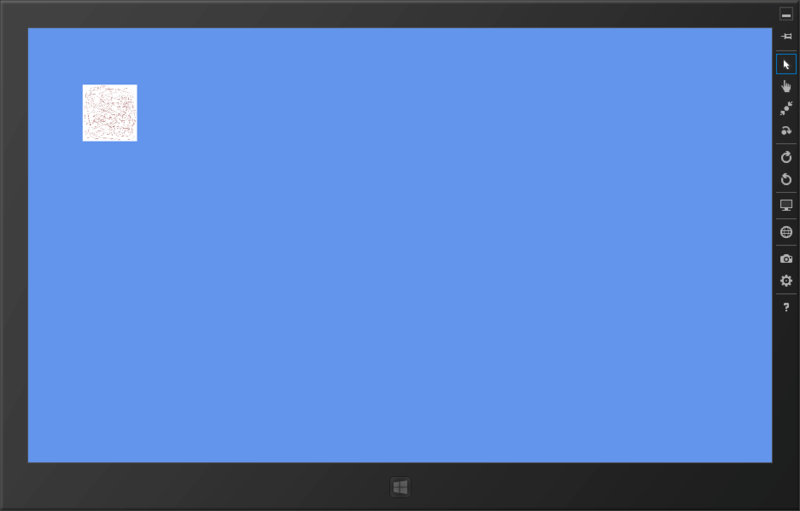 In XNA the game assembly was at the root and the content was in the Content folder under the output folder. 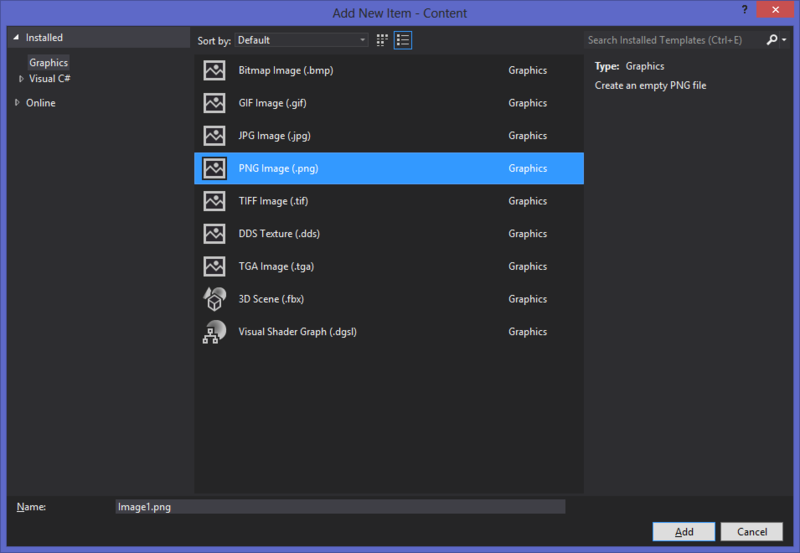 In Windows 8, the application has to be packaged before it can be deployed, so the content has to be put into the packaging folder to be properly deployed. The packaging folder is called “AppX” and exists under the output folder. 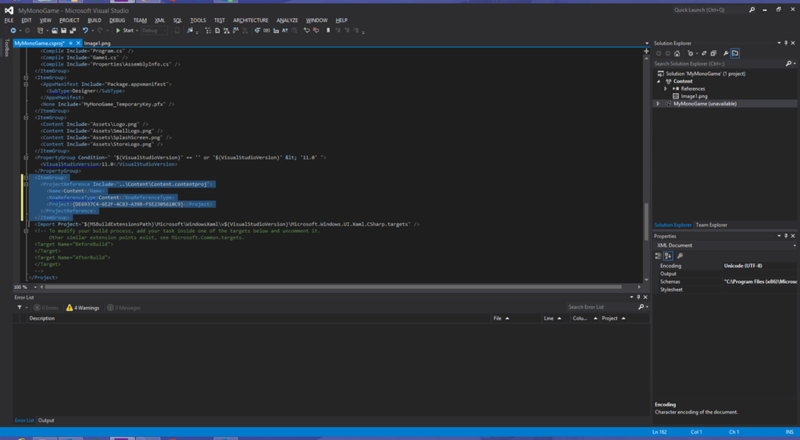 Add some test content New to Visual Studio 2012 is the ability to create game assets from within the IDE itself. We’ll use this feature to create a texture to test with. 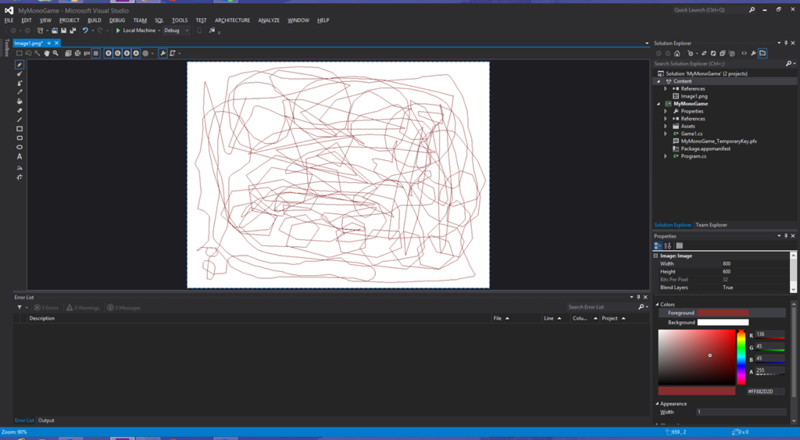 Use the image tools to draw something in the new image. Modify MonoGame project file Now we need to hook the Content project to our MonoGame project so that building the MonoGame will build our content. 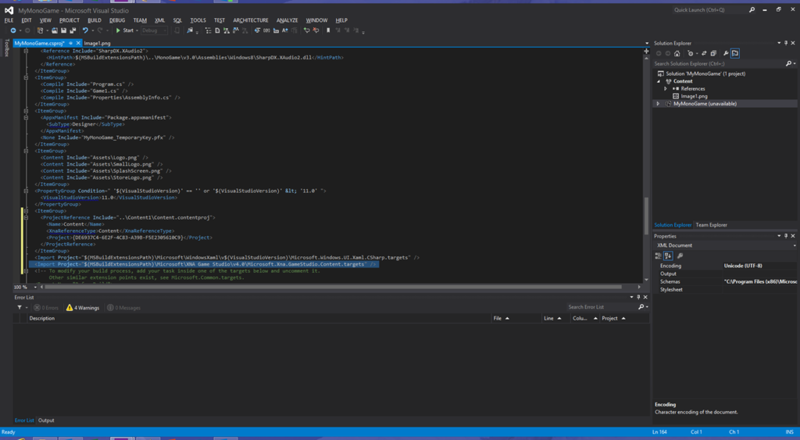 Add XNA Content Project Reference Now scroll to the bottom of the file and add the following lines before the last Import element. Write some test code At this point everything should be wired up properly to build and deploy the project and content together. 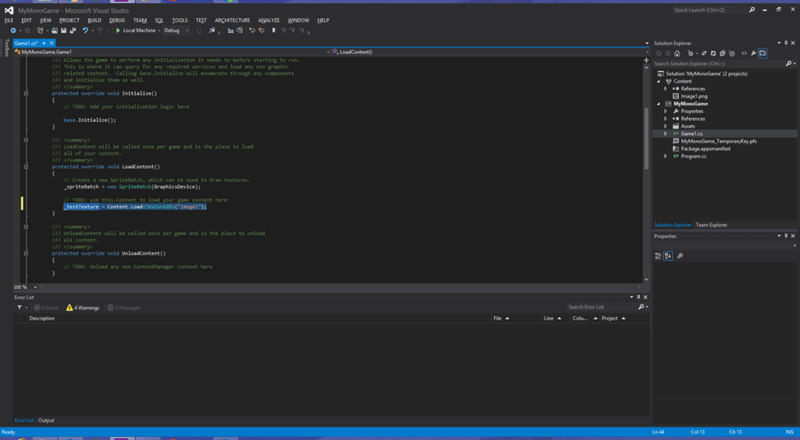 Lets make a few changes to our game class to see if it is all working properly. Build + Test You know what to do…[F5] If you have problems and need to make a few changes, sometimes it appears that they don’t seem to take. In that case try doing a clean then rebuild. 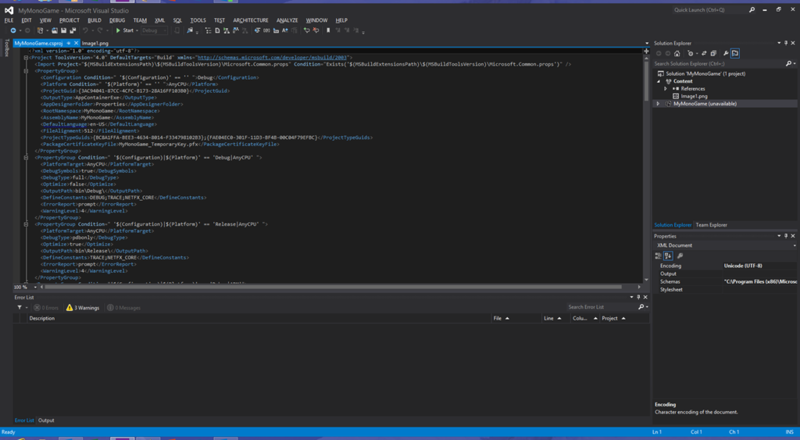 With these changes in place, you can now enjoy the edit, build, deploy, test cadence that you were used to with XNA Game Studio. 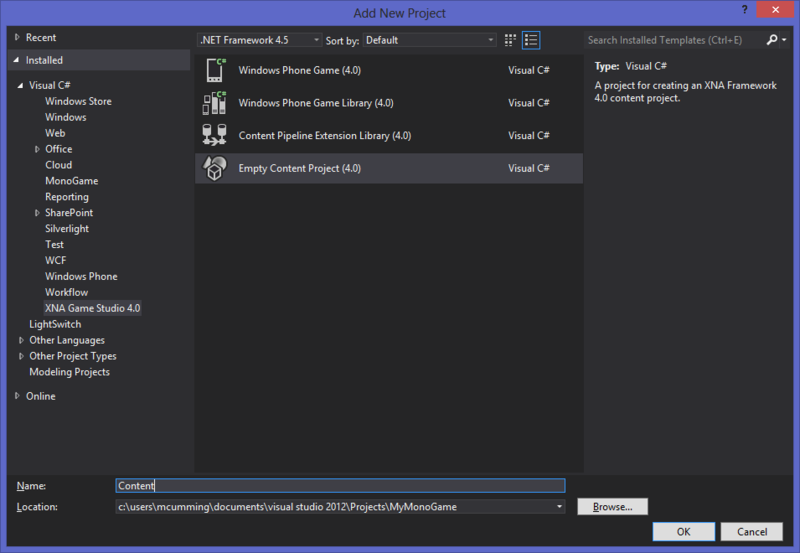 No longer do you need to switch between two instances of Visual Studio and manually copy files into the packaging folder.